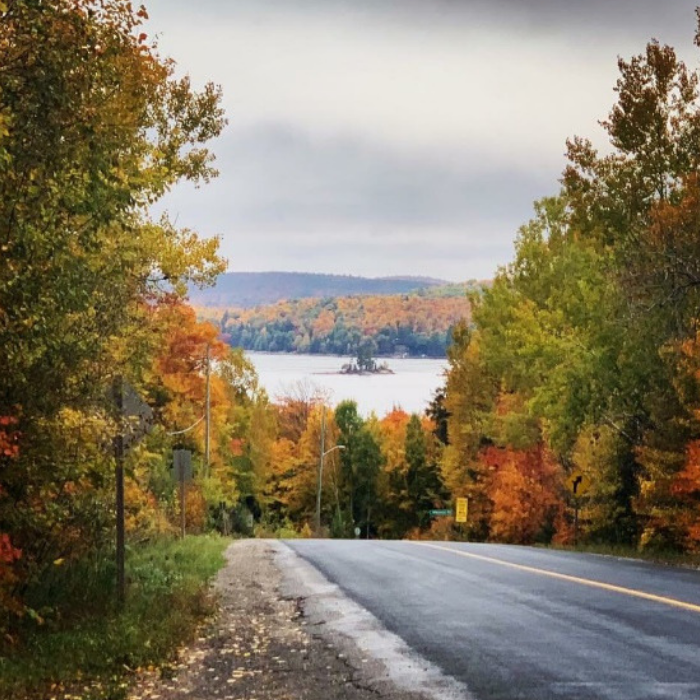 #Weekending – Road trip to Haliburton and PEC | APEX Public Relations Inc.
Studies show that people who take part in extra-curricular activities are better problem-solvers and more creative. So, throughout the year we’ll be sharing what we like to do in our spare time. Consultant Lindsey Soper talks about her Thanksgiving dinner with her family and spending time in Prince Edward County. A few weeks before Thanksgiving, I decided to extend my long weekend and take a vacation day on the Tuesday. I had heard that the Drake Devonshire hotel would need to be booked at least six months in advance to secure a room, but luckily, I just happened to find the last available room on the holiday Monday & booked it right away! It’s my family’s tradition to celebrate Thanksgiving at our cottage, in Haliburton, Ontario. So, I knew I couldn’t skip out on our family plans. I decided to head to the cottage for a few days, then drive to PEC for one night. The cottage has been in our family for 24 years and we love spending time there, especially in the fall. There is so much to do, and this year’s warmer weather made it that much more special. 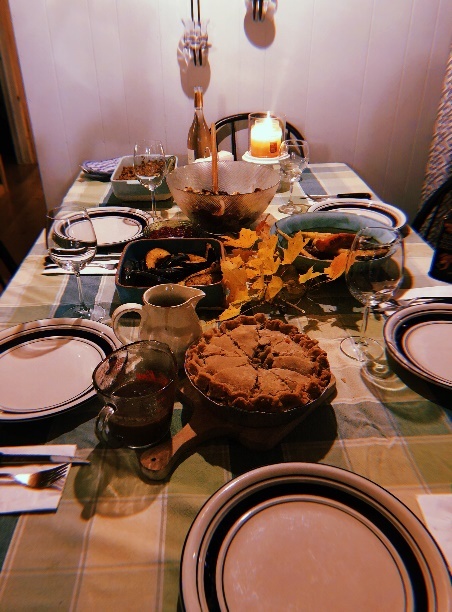 We were able to have a bonfire during the day, went for a boat ride, checked out the vibrant fall colours and best of all, prepared our first-ever vegetarian Thanksgiving dinner (it was delicious). 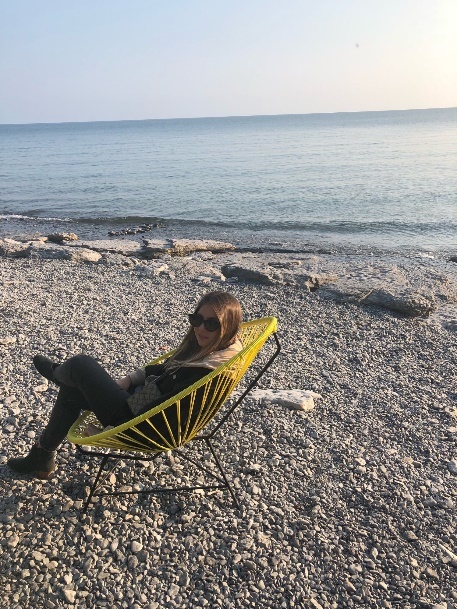 Following two days at the cottage, my cousin and I headed south east four hours to Prince Edward County and checked into the popular Drake Devonshire hotel. 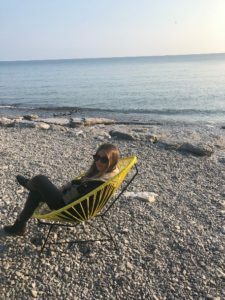 We weren’t sure how lively the hotel/region of PEC was going to be since it was Thanksgiving, but we were surprised to see that the hotel was busy with people and were pleased to find out that most wineries and restaurants were still open. 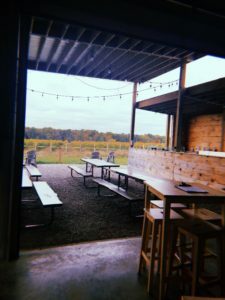 After checking into our room, we went to explore our first winery in the area; Grange Winery. The sommeliers took time to explain each wine we tasted, and told us more about the region, and how one of their father’s started the winery. All the wines and cider we tasted were delicious. Moving onto the next winery, Hinterland Wines, we tested out their popular sparkling wines and cherry cider – both were outstanding. The weather was perfect, and we sat outside overlooking the vineyard. Finally – we came back to the hotel, had an amazing dinner and sat with a glass of wine by the beach. Overall it was one of the best Thanksgiving’s I’ve ever had because it was the perfect balance of traditional and new experiences mixed into one fabulous, extra long weekend. Lindsey Soper is a Consultant at APEX Public Relations. Check out more of our #Weekending series to see what we do on our weekends.